FlyBit octocopter UAV | IDS Ingegneria Dei Sistemi S.p.A.
FlyBit is an octocopter UAV which can use its efficiency in flight to provide a flight time of up to 1 hour or can provide a load capacity of 6 kg. Flybit offers an ideal platform for professional users performing activities such as photogrammetry or structural surveys. 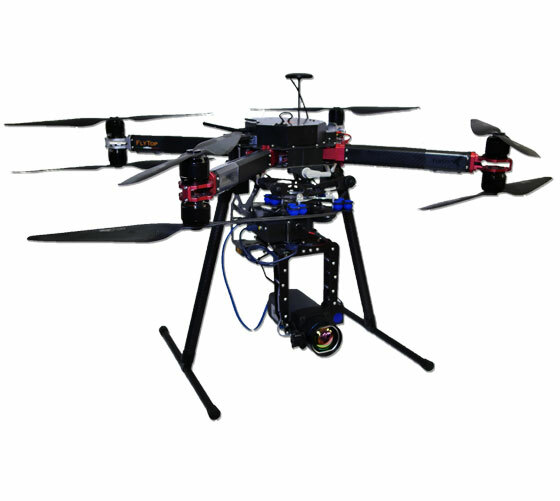 Its carbon fiber structure provides precise, stable and wind resistant flight enabling payloads, such as hyper and multispectral sensors or Lidar, loaded on either a 2 or 3 axis gimbal to provide high quality data. to discover more about this product, please visit FlyBit page on FlyTop website.